Therapeutic Touch – Welcome to Infinity Institute International, Inc. A State Licensed School of Hypnosis. Open to everyone who desires to learn the art of Therapeutic Touch. This course will show you how to use your hands to help balance someone who is sick, including yourself! (From Headache, Muscle Tension and Spasm, Crying Babies to Acute Pain). TWO FULL DAYS for the special Internet price of just $145 ($20 discount if you pay ten days in advance of workshop). Lunch on your own. Wear comfortable clothes. See article in Articles of Interest (Healing, Inner Wisdom and Hypnosis) by Anne H. Spencer, PhD the teacher of the workshop. Pre-registration required. Please include full mailing address with correspondence. 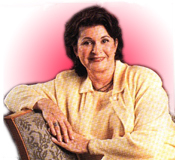 Anne H. Spencer, Ph.D. is the Founder and Director of the International Medical and Dental Hypnotherapy Association®. The IMDHA is an outgrowth of her state licensed hypnosis training school, Infinity Institute International, Inc.